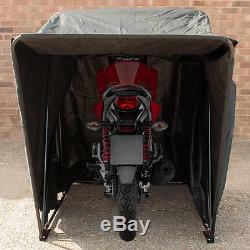 This Mortorbike storage tent is ideal for protecting your motorcycle from all kinds of whether, dust and debris. 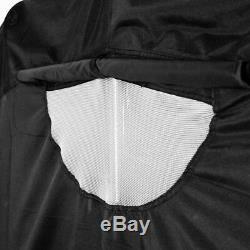 This modified design is hard wearing and built to last, ensuring peace of mind that your bike is protected at all times. 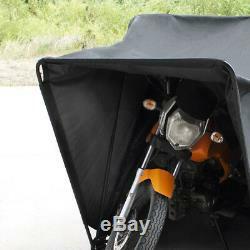 Made with 600D polyester Oxford waterproof material and is easy to assemble and use. When shut it can be locked with a padlock (not included). The can be free standing or can be bolted down to a hard surface (bolts not included). 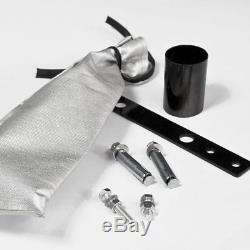 Supplied with soft ground anchors. 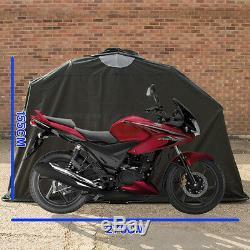 Will fit most standard motorcycles and cruisers. 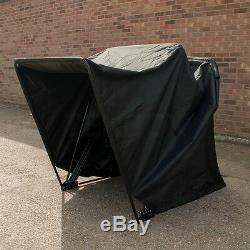 Will fit standard and some larger bikes. 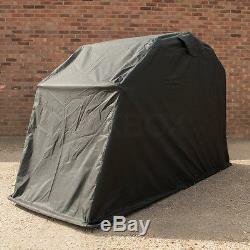 Suitable as a permanent or temporary fixture. 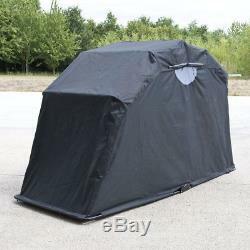 Size L:270 x W:105 x H:155cm. Galvanized Coated Steel Poles, measure: 220.8mm. 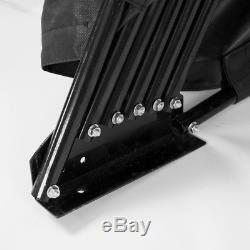 Can be bolted to ground if required. 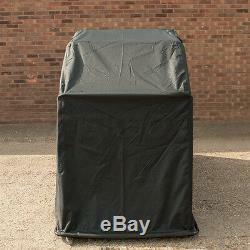 Can be used to store your Motorbike, Scooter, Moped, Motocross, Mobility Scooter, Push bike and many more! 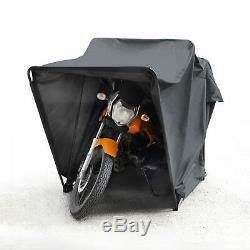 The item "Motorbike Bike Storage Cover Tent Shed Strong Frame Garage Motorcycle Moped" is in sale since Thursday, July 28, 2016. 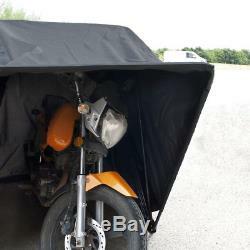 This item is in the category "Vehicle Parts & Accessories\Motorcycle Accessories\Weather Protection\Covers & Tarpaulins".ltd" and is located in Woodhurst.